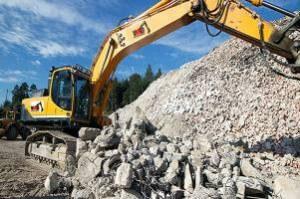 Whether you require concrete demolition for all small job in Melbourne’s suburbs, or concrete demolition for a large building project in the city, our team of experienced concrete experts can help. Trained to the highest safety standards in the industry, our team can come in and successfully complete the demolition job, on time and on budget. Once the demolition process has been completed, We can safely ensure that the excess concrete from the demolition process has been removed off of the premises and out of the way.